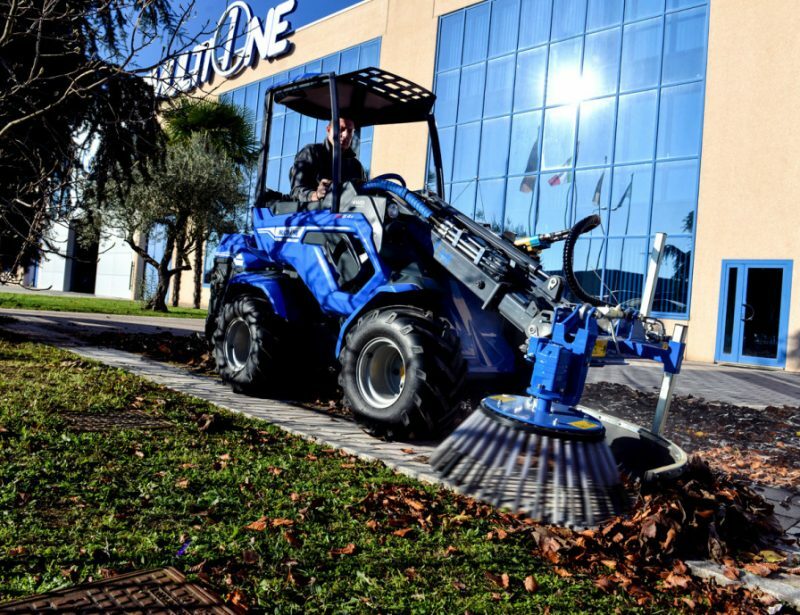 Before you plant, you need soil that’s ready to accept the seeds and let them grow. 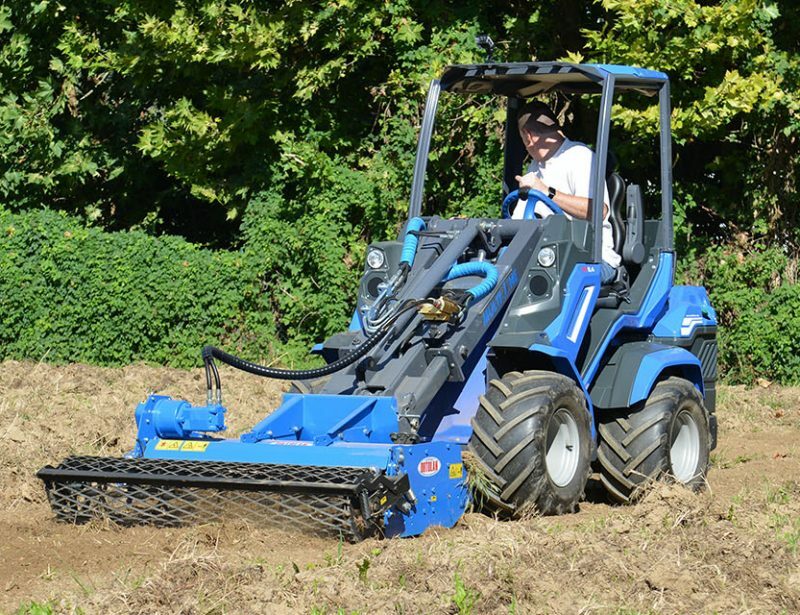 The power plow uses a short, conical auger to cut into the soil, removing rocks and roots with ease, even if the soil has never been broken. 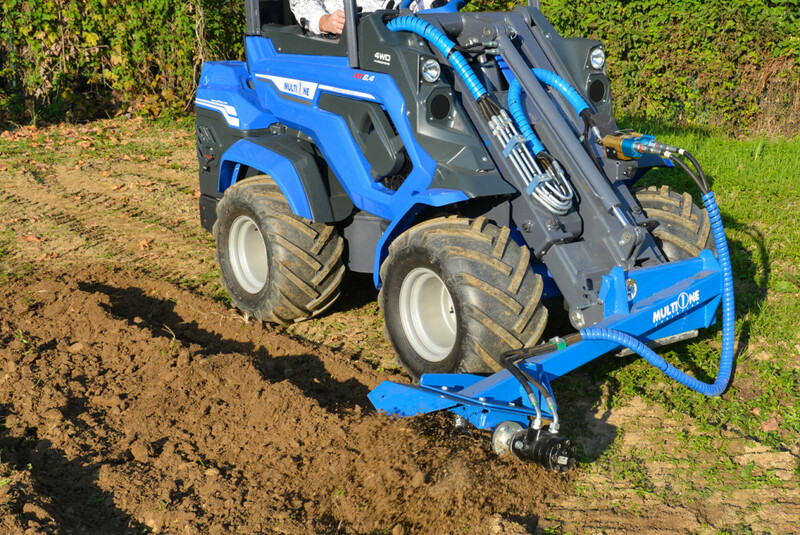 This makes it easy to dig holes for transplants or finish the soil surface for seeding or laying down sod. 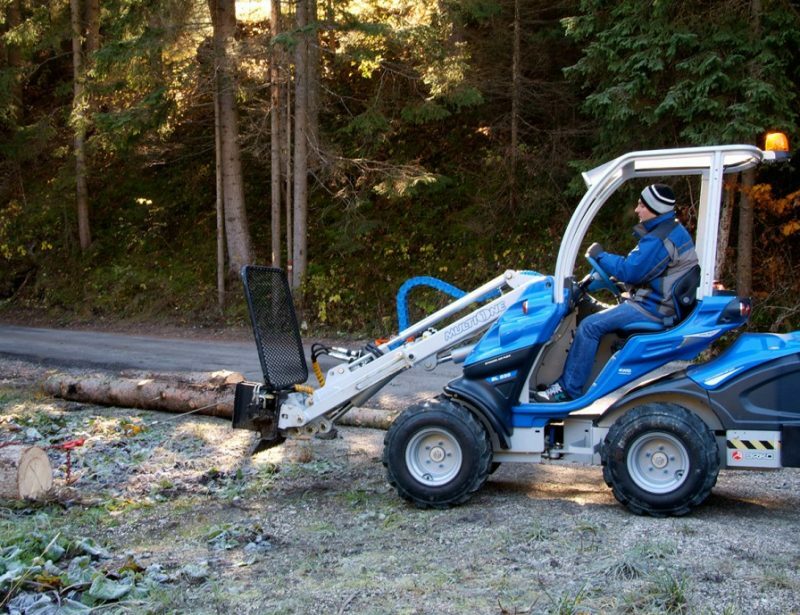 The power plow uses a fixed arm that attaches to the mini loader’s boom. 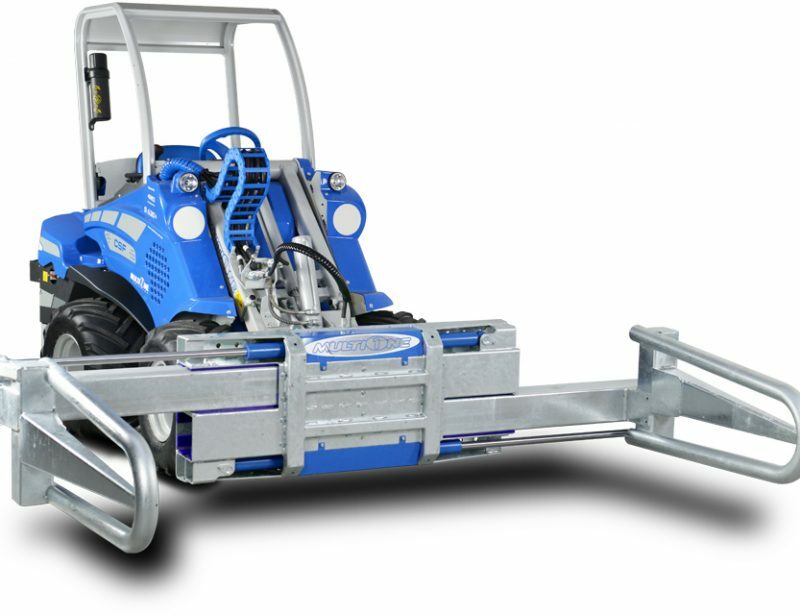 This places the plow to the right of the vehicle at the correct angle for maximum cutting performance. 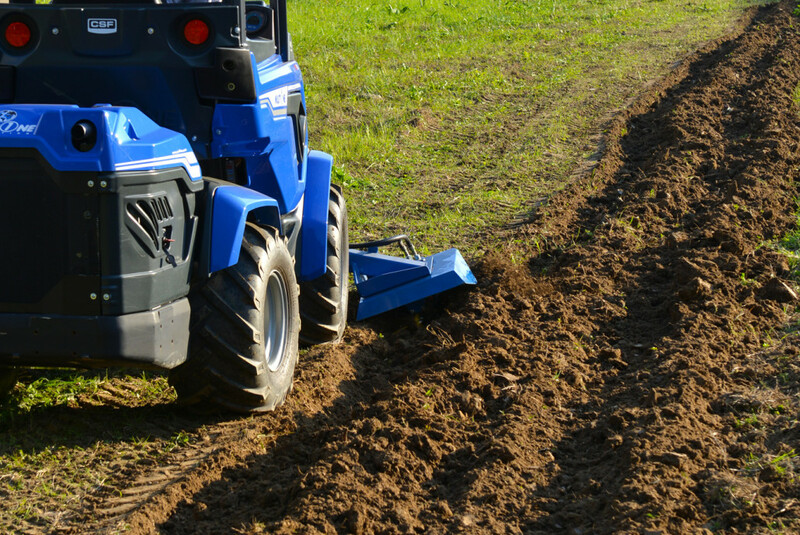 Using the plow is a simple matter of turning it on and lowering it onto the soil. 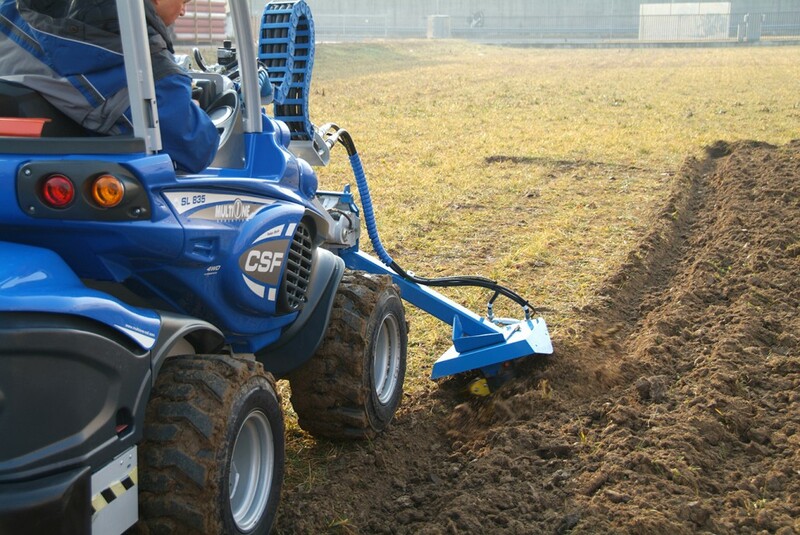 The plow’s auger acts like a corkscrew, cutting into the ground, mixing the soil, and depositing it horizontally. 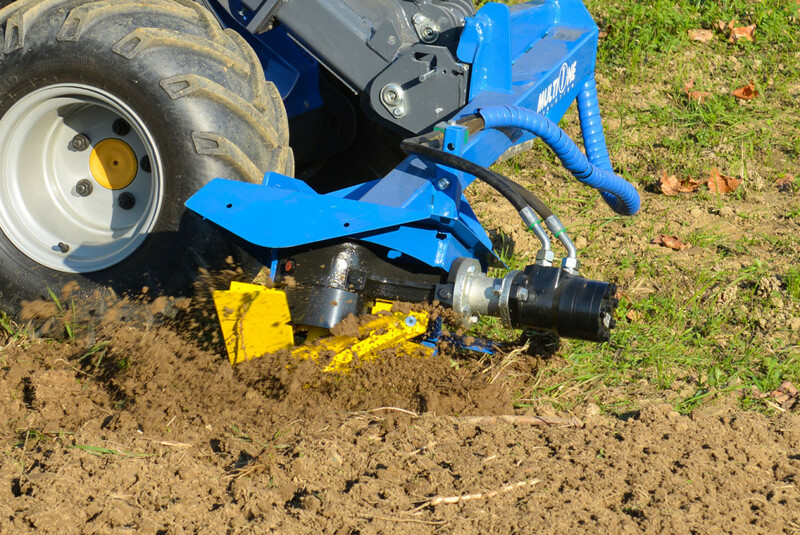 This motion eliminates all hardpan in a single pass, making it easier to dig while planting and allowing roots to penetrate the soil. 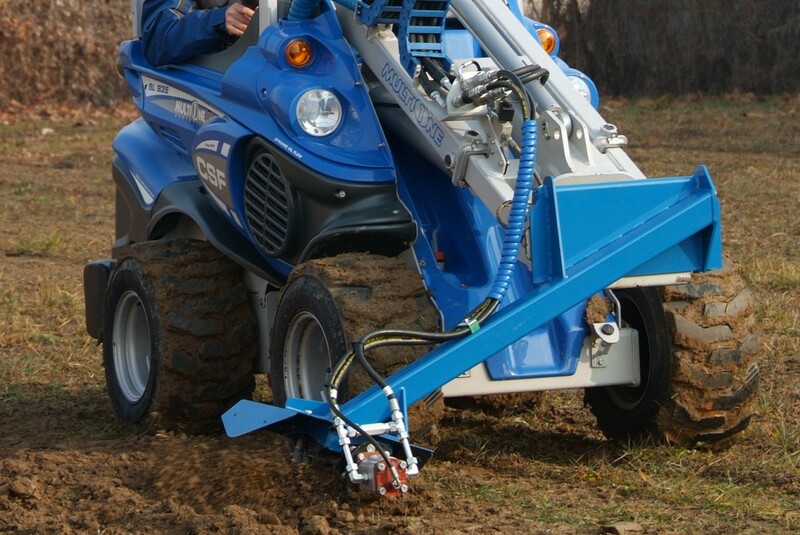 The edge of the auger chops through grass and roots with ease, integrating them into the dirt without tangling on the attachment. 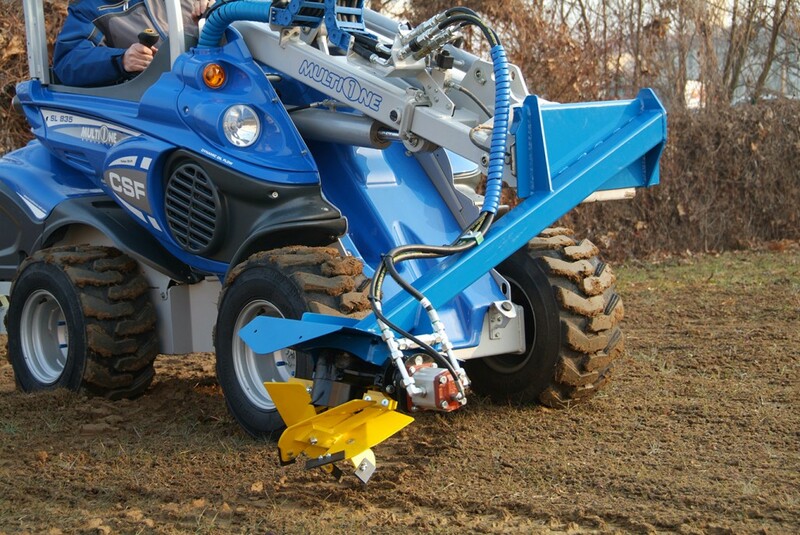 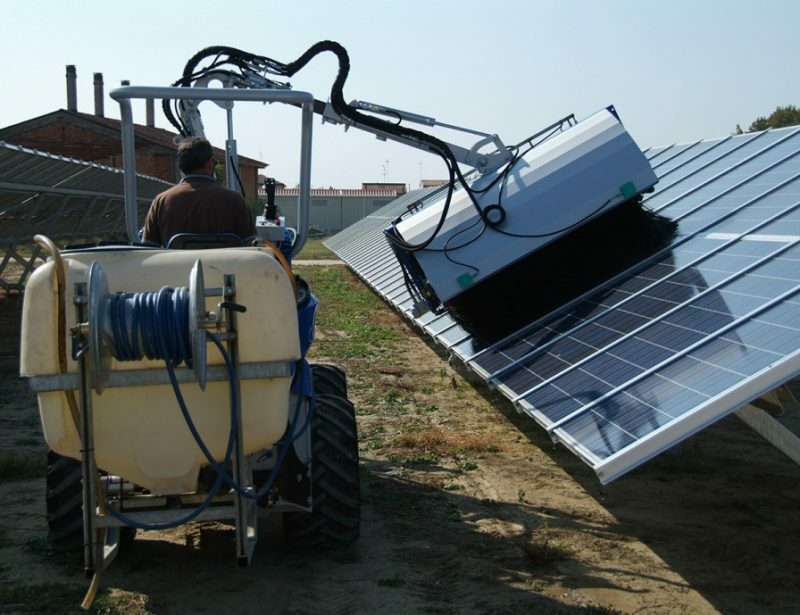 This attachment works equally well on sod, rock-filled dirt and unbroken soil. 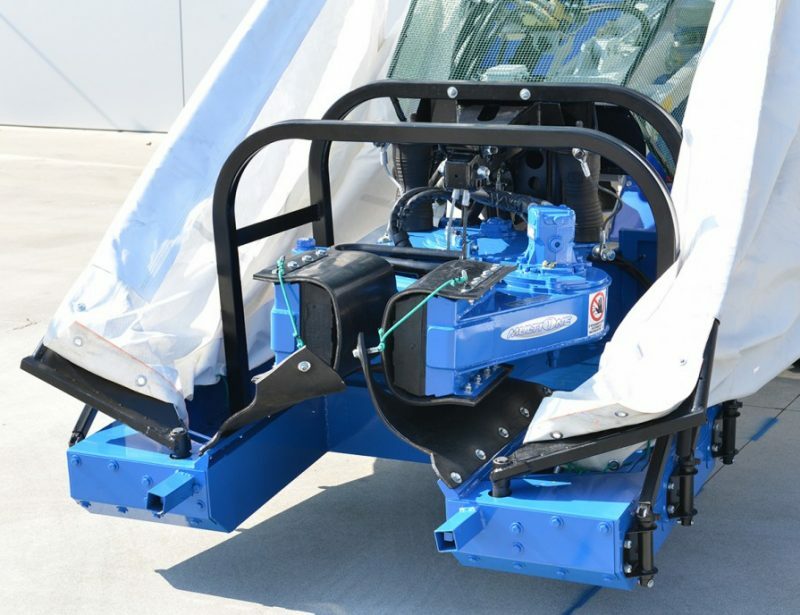 The power plow weighs 205 lbs. 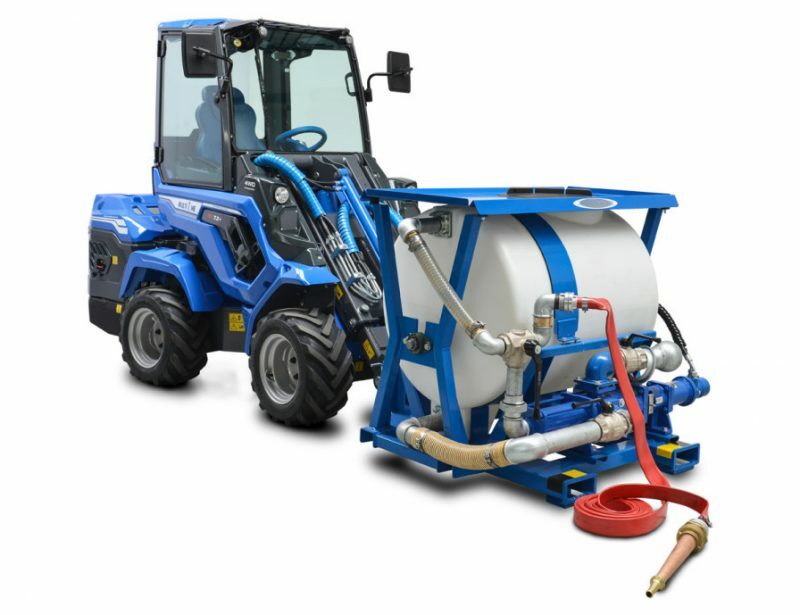 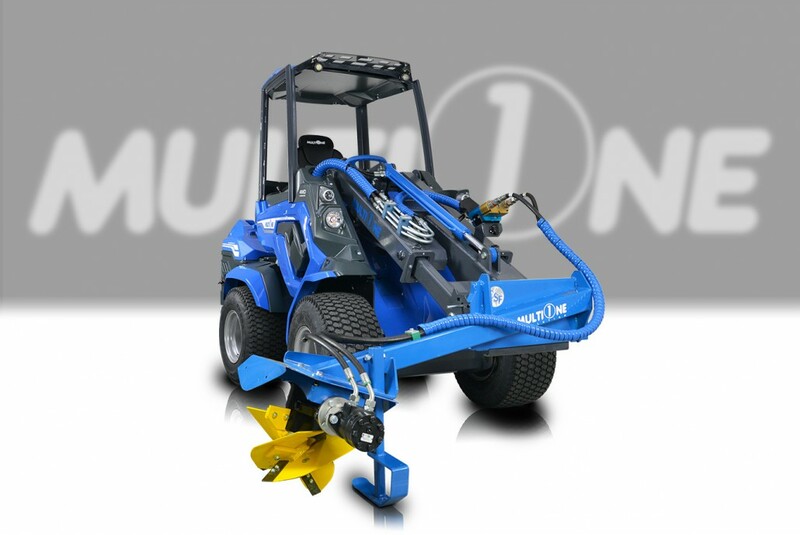 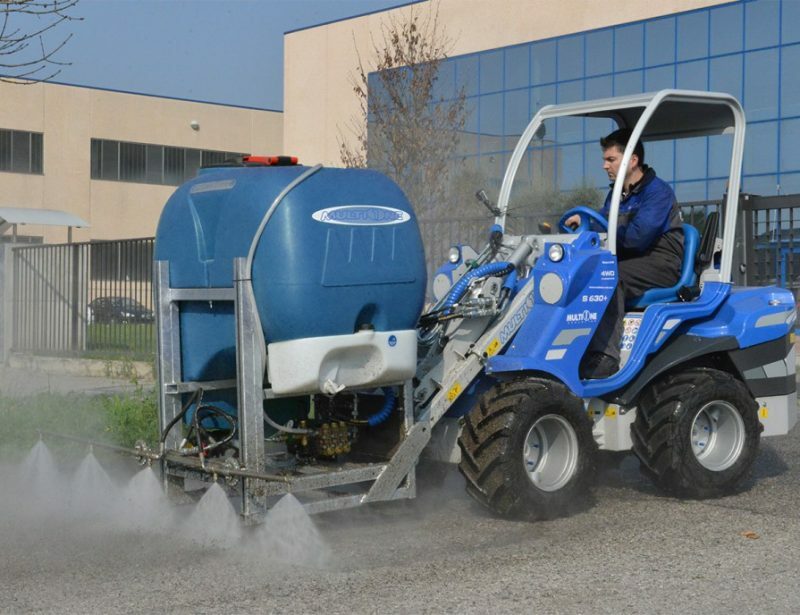 (93 kg) and is compatible with 2 Series and larger MultiOne mini loaders.